A leading innovator in the financial services industry and a consummate dealmaker, Howard Kessler pioneered the concept of the affinity credit card with MBNA in 1982. Howard has spent the ensuing decades building businesses focused on delivering win-win solutions to the most critical problems faced by senior executives in retail financial services. Deals and partnership programs created by Howard have literally reshaped the landscape of the payments industry— resulting in the creation of billions of dollars in value for shareholders. Howard has been at the forefront of innovation in credit cards and has developed concepts and techniques that have been exported to financial services firms around the world. As a lifelong entrepreneur, Howard excels in the relentless pursuit of out-of-the-box answers to intractable problems, especially in deal making and in the crafting of alternative solutions in “workout” situations. This unique combination of tenacity and creativity has made him a trusted advisor to the most senior leaders in the fields of politics and financial services, and these relationships give him unparalleled insight into the strategic objectives and needs of major financial institutions. Howard and his wife, Michele, are active philanthropists supporting a wide range of national and global causes, such as the William J. Clinton Foundation, the American Red Cross, the American Ireland Fund, the Dana-Farber Cancer Institute, the Prince of Wales Trust and Partners HealthCare, a not-for-profit, integrated healthcare system founded by Brigham and Women’s Hospital and Massachusetts General Hospital. Howard has been the recipient of numerous public service awards, including the United Way Emerging Corporate Philanthropist Award, the Red Cross Lifetime Achievement Award, the Palm Beach Police Foundation Award for Community Service and the Carolyn and Peter Lynch Award for entrepreneurs who have made a significant difference in the lives of children. He is a recipient of the Ellis Island Medal of Honor. Scott is responsible for managing the day to day operations of the business, overseeing relationships with outside investors as well as spearheading a range of corporate-wide projects. Scott also develops and manages new financial service partnerships and annuity income streams by extending client capabilities into areas such as credit card, consumer loans, payments, enhancement services, risk syndication, etc. while helping drive complex workout situations with Howard Kessler and the Kessler M&A team. Scott joined The Kessler Group in 1990 and was instrumental in helping Howard Kessler purchase its predecessor company and create strategic partnerships in the credit card, telecom, payments and consumer finance businesses. After a year spent as president of Aliaswire, an emerging payments company in Cambridge, MA, Scott rejoined Kessler in October 2010. Scott holds a BS in Biochemistry from the University of New Hampshire. Scott currently sits on three boards including Aliaswire, EData Networks and Ozumo Concepts International. Scott is very active in mentoring youth in the community and supporting many charitable initiatives including Catholic Education, St. Joseph’s School, The Haven Project and Rostro de Cristo. Jay brings a unique combination of practical card marketing, financial analytics, and deep strategic business knowledge to The Kessler Group. He works directly with our financial services clients to support strategic analyses, and acquisitions or divestitures, along with structuring collaborative partnerships. Prior to joining in 2015, he spent eleven years with JPMorgan Chase where he was responsible for modeling and evaluating every major card M&A transaction. He has a wealth of experience across private label and cobrand programs, and also did stints in both the deposit and credit card marketing divisions. Jay has an MBA from the Smith School of Business at the University of Maryland. With a BS from the Naval Academy, he served on active duty for five years in the United States Marine Corps. Jay lives in Chadds Ford, PA with his wife and three kids, and is active coaching youth lacrosse. He works out of Kessler’s Wilmington, DE office. Patrick manages partner-side engagements for The Kessler Group’s Mergers & Acquisitions team and has assisted several banks reentering the credit card market. Patrick brings expertise in RFP management, contract restructuring and negotiations, and portfolio sales. During his tenure, he has worked on a host of successful client engagements in the retail, financial institution, occupational, college and university, professional sports, and not-for-profit sectors. Patrick joined the company in 2002 from Staples, where he was the managing director of Credit Marketing, overseeing the company’s domestic and international credit card and loyalty programs. He also developed Staples’ retail, online and catalog payments strategies, including association interchange negotiations. Patrick holds a BA from Middlebury College and an MBA from the Carroll School of Management at Boston College. Bayo joined The Kessler Group in 2011 on our Portfolio Advisory team and assists Kessler clients in executing M&A and organic growth initiatives across the U.S., Canada and the U.K. Prior to joining Kessler, Bayo was the BFO of Sallie Mae’s credit card business and prior to that, he was acting CFO and founding member of a credit card startup. Bayo started his career at MBNA (subsequently Bank of America), where he developed financial models to value MBNA’s 5,000 affinity partners and associated card portfolios, as well as helped execute portfolio and business M&A transactions. Bayo holds a Bachelor’s degree in Accounting and Computer Information Systems from the Indiana University Kelley School of Business and an MBA from the Drexel LeBow College of Business. A long time employee, Amanda has spent the last 17 years building her career at Kessler. She is responsible for devising marketing plans, developing marketing strategies, and managing the execution of direct mail and integrated multi-channel programs for various big brand clients in the Affinity Credit Card space as well as alternative lending programs. She also manages 3rd party vendor relationships. Her experience includes creating campaign reporting and analysis, budget management, cost saving initiatives and ideas for program expansion. Amanda holds a BS in Marketing from the University of Massachusetts – Amherst. 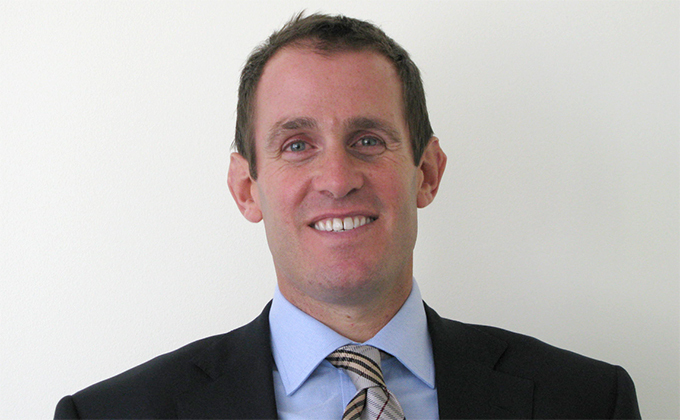 Keryn, managing director of Kessler Financial Services International, joined The Kessler Group in September 1998 to manage the company’s business in Australia. In that role, Keryn positioned The Kessler Group as the leader in Australia’s affinity market and spearheaded the company’s efforts to build partnerships and professional affinities and to structure retail financial service deals. In 2009, the Australian business further expanded to intermediating consumer debt sales in the Australian market. Prior to joining The Kessler Group, Keryn spent a year working on co-brands and product development for MasterCard International in Australia and five years leading global marketing initiatives for MasterCard International in the U.S. Before joining MasterCard, Keryn worked for five years at Ernst & Young in Wellington, New Zealand, and Sydney, in both marketing and auditing roles. As Chief of Staff, Yi-Hsin works side-by-side Chairman and CEO Howard Kessler, driving all major deals, projects, client relationships and corporate initiatives. She also partners with David Smith on M&A strategy and major M&A transactions, and works closely with the rest of the management team on strategies involving KG’s major clients. Prior to joining The Kessler Group in 2010, Yi-Hsin worked as a management consultant at McKinsey & Company in New York, advising several major banks and financial services companies, several of whom are current KG clients. She also played a significant role turning around two companies: The Hanover Insurance Group and DTN, an information services company. Yi-Hsin did a stint in investment banking at Goldman Sachs in the High Tech Group in Menlo Park, and began her career as a reporter and writer, working for The Wall Street Journal in Hong Kong and The Motley Fool. Yi-Hsin holds a BA in English from the University of North Carolina, Chapel Hill, where she was a John Motley Morehead Scholar, and an MBA in Finance and Marketing from NYU Stern. Yi-Hsin is an avid sailor and traveler. She also enjoys good food, opera and classical music. Dax has a deep level of expertise in partnerships across business development, endorsed program management, and growth strategies, leading The Kessler Group’s efforts with key clients. Dax joined Kessler in 2011 after spending the previous five years as a founder and COO of Revolution Money, a payments company that was sold to American Express. Prior to founding Revolution Money, Dax spent 14 years at MBNA serving as Division President and senior executive vice president of the key US Endorsed business, where he led the company’s 5,500 endorsing groups and $65 billion endorsed consumer loan portfolio. In addition, Dax held management positions leading MBNA’s regional offices, several business sectors, and the company’s new account activation efforts. Dax currently serves on the Board of Trustees of the Potomac School and the Advisory Board for the Connelly Center for Entrepreneurship at Washington and Lee University. Dax holds a BA in Politics from Washington and Lee University. Bob is responsible for developing long term credit card partnerships for his clients that include credit card loan portfolio acquisition and transfer activities. He is also responsible for Kessler M&A Analytics that helps to develop optimal deal structures and detailed financial analysis/valuation for our clients. Bob joined the company in May 2001 from Citigroup, where he led business development and credit card acquisition activities for North America Cards. Bob has over 20 years of experience in partnership development and portfolio acquisitions and has completed over $50 billion in portfolio acquisitions. Bob is an accomplished and recognized consumer portfolio valuation expert who contributed to the closing of several high profile transactions including AirTran/Southwest, Hudson’s Bay, TJX, Toys R Us, Best Buy, AAdvantage Puerto Rico and Upromise. Bob is an Advisor and Board Member to several payment and financial services organizations and holds a degree in Mechanical Engineering from Manhattan College and MBA from Long Island University. He can frequently be found supporting several New England charity events particularly focused on the well-being and advancement for Children. Todd is the national sales manager for all business development and acquisition activities in the financial institution marketplace for The Kessler Group. In his role at Kessler he identifies credit card partnership and merchant portfolio acquisition opportunities for Kessler clients. He is responsible for all sales activities, deal strategies and contract negotiations. Todd joined the company in 1988 and has over 25 years of experience working with financial institutions in the payments industry. During his tenure, Todd has assisted on facilitating transactions with over 1,000 financial institutions. Prior to joining the company, Todd was employed in a business development role at First Data. Todd majored in Marketing and holds a BSBA from Nichols College. He is an active supporter of St. Mary of the Hills School, Make a Wish Foundation and coaches youth hockey. Carl is responsible for The Kessler Group’s prioritization and resource allocation processes. In addition, he works to develop new client and partner relationships and vertical expertise particularly in the unsecured lending and payments spaces. Carl rejoined Kessler in 2013 following eight years with Exchange Solutions, Inc., where he managed the Retail Banking Practice focused on helping create and deploy a proprietary web-based technology platform to help banks deepen their customer relationships. Under his leadership, the solution was deployed in 22 countries and was contributing over $1.7 billion in annual incremental bank balances across all consumer banking products. Prior to Exchange Solutions, Carl worked at Kessler for eight years in both Corporate Development and Marketing roles where he helped grow both the breadth of marketing services and the clients served. Carl’s additional experience includes performing corporate planning and market analysis at MasterCard and consulting to large banks at Booz|Allen|Hamilton. Carl holds an MBA in Finance and Accounting from Columbia Business School and a BS in International Finance from Georgetown University’s School of Foreign Service. Carl lives in Brookline, Massachusetts with his wife and family, enjoying numerous children’s activities, cooking and being at the beach. Carl has been as an Alumni Interviewer for Georgetown for many years and actively supports several community organizations including the Lutheran Church of the Newton and numerous school PTAs. Steve is responsible for working with Kessler Group clients to develop strategies that advance each company’s business objectives for payments and lending programs. Specialty areas include credit card product design, direct to consumer marketing, credit risk policy and underwriting and cobrand and agent bank partnerships, among others. His focus is to help clients realize the full potential of consumer financial products to their prospects and current customers. Over a 25 year career, Steve has worked at some of the largest banks in the U.S., including Citibank, JPMorgan Chase and most recently First National Omaha, where he oversaw all of the bank’s consumer deposit, mortgage and lending businesses as EVP, Consumer Banking. At FNBO he was also President of First Bankcard, a top twenty U.S. credit card issuer. Steve holds a M.B.A. in Finance from Fairleigh Dickinson University and a B.A. from Rutgers University. Greg leads The Kessler Group’s new business development efforts, contributing expertise in insurance, risk syndication and nonprime credit card program growth (organic and via acquisition). After working with The Kessler Group from 1996 to 2000, Greg left the firm to start an Internet marketing company, Vizium, where he served as director of Marketing. The company grew to 25 marketing and technical consultants before being sold to the largest independent media conglomerate in Europe. In 2003, Greg returned to Kessler to lead the Alternative Channels department. Prior to Greg’s first stint at Kessler, he worked in Moscow for two years at a USAID-funded investment firm that had been founded to help medium-sized Russian businesses transition to a free-market economy. Greg is proficient in Russian. Greg has a BA from the College of the Holy Cross and an MBA from the Carroll School of Management at Boston College. He serves as treasurer on the Board of Trustees at Kingsley Montessori School in Boston. Doug is a seasoned production professional with over 25 years of experience spanning numerous commercial industries. His background includes both the client and agency side of the advertising business with a focus on executing the production of best-in-class, multi-channel materials and marketing programs for leading products and services. Prior to joining Kessler’s Marketing Services team, Doug has worked for several well-known advertising agencies including Leo Burnett Worldwide and Hill Holiday as well as a leading print and marketing management company, HH Global. Prior to that he spent several years on the manufacturing side of the business producing direct marketing materials for financial institutions, the insurance industry, packaged goods and medical device companies and others. Doug lives in Westford, MA with his wife and two children. When not in the office he enjoys live music, travel, coaching youth lacrosse and just about anything that involves the great outdoors. Lauren joined Kessler in 2007 and specializes in strategy development and transaction execution. She has played an integral role in the completion of over $10 billion in transactions, and advises clients on business development strategies. Lauren joined Kessler from Investors Bank & Trust, where as part of the Corporate Finance division, she managed financial planning and analysis of the bank’s largest departments, business development and information technology. Lauren holds an MBA from the MIT Sloan School of Management and a BS in Finance from Quinnipiac University. A lifelong animal lover, Lauren spends her free time as an advanced volunteer at the Animal Rescue League of Boston where she helps assess dogs’ behavior and train them before they are adopted. During her over 20-year tenure at Kessler, April has been responsible for developing creative strategy and overseeing in-house and third-party resources for creative development and execution of direct mail and integrated multi-channel programs for all of Kessler’s marketing clients. She has worked on acquisition, relationship and customer service programs in the Credit Card, Traditional Loan, Peer-to-Peer Lending, Insurance, Collections, Deposits, and Education spaces. Her experience includes helping to grow small, start-up pilots to working on complex, high-volume marketing programs. April holds a BFA from Syracuse University. Patrick joined Kessler in 2011 and oversees key client business development and emerging payment strategy engagements. Patrick has developed extensive expertise in cultivating strategic alliances (organic and acquisition), program agreement and financial deal structuring and portfolio risk mitigation solutions. Prior to joining the firm, Patrick held senior M&A and corporate strategic planning positions at Barclays, a de novo affinity credit card subsidiary of Western Alliance Bancorp, and MBNA. Mr. McCall holds an MBA from Georgetown University’s McDonough School of Business and a BS in Business Administration (Finance) from Marist College. Lena joined The Kessler Group in 1991 as Assistant to Chairman/Owner Howard Kessler. Now as the Director for the Office of the Chairman, Lena works closely with the Kessler Family and is responsible for managing Kessler administration and the Kessler Corporate office. Lena takes pride in the talent and retention of the administrative staff of The Kessler Group. Prior to joining The Kessler Group, Lena served as the Vice President of Property Management for First Investment of Wellesley, MA. In that role Lena managed 3,000 residential units and commercial space from Rhode Island to Texas while overseeing budget control, leasing, and advertising, as well as managing property managers, maintenance, and grounds staff. Lena holds a Bachelor of Secretarial Science degree with merit and honors from Katharine Gibbs of Boston. 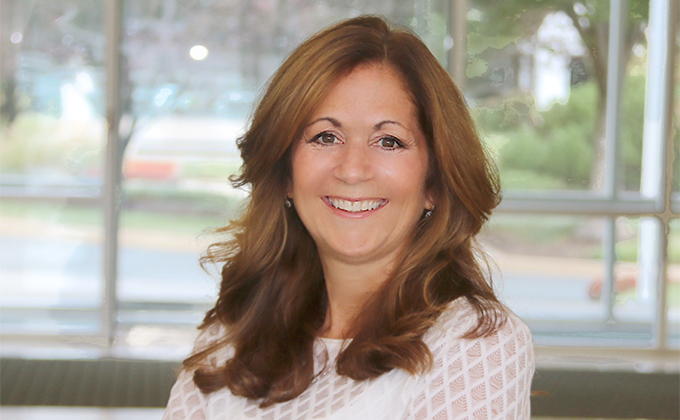 As a member of the National Secretarial Association, a board member for the North Reading Dollars for Scholars, and through being active in the North Reading School system’s athletic and educational fundraising initiatives, Lena has blended her business and philanthropic expertise to help give back to her community. Lena resides in North Reading, MA with her husband Michael and enjoys cheering her son and daughter on in their various sporting events, cooking, dancing, and being with family. Kevin joined Kessler in 1997 and is responsible for business development in the financial institution sector. An expert in relationship management, strategy, and negotiation, Kevin crafts partnerships with tangible advantages for financial institutions and superior consumer value for their customers. Kevin brings over 25 years of payments experience to his position and has formed over 500 agent partnerships in the bank and credit union space. Prior to joining the company, Kevin spent two years with First Data and four years with Bay Bank, now a part of Bank of America. Kevin holds a BS in Economics and Finance from Bentley University. In his spare time Kevin is a certified baker specializing in European artisan breads and serves as a senior advisor for Cards Across the Ocean, a global charity that focuses on the emotional needs of children and seniors in developing nations. Chris is the Founder of Linchpin Partnerships. He has more than 25 years of experience in building businesses and developing new products and partnerships. Prior to founding Linchpin, he spent a decade at The Kessler Group, including six years as its COO. In that capacity, he managed partnerships with leading financial services firms and affinity partners, developed new relationships for the firm, managed workouts, and led regulatory and legislative strategy. Previously, Chris served as President for Travel and Affinity Products for the Smithsonian Institution. Before that, he served as President of GoAhead Tours and President of Latin America for EF Education. Chris serves as Vice Chairman of the board of the Trinity Boston Foundation. He holds an MBA from the Amos Tuck School at Dartmouth College and a BA from Middlebury College. An accomplished marketing executive with over 25 years of experience in the financial services industry, Andrea’s expertise spans across all product lines with a focus on credit card marketing (B2B and B2C), retail banking and payment networks. Prior to joining Kessler, Andrea held a senior leadership position at MasterCard, serving as Account Lead for Wells Fargo, Chase Card Services, First National Bank of Omaha, M&T Bank, TD Bank, and Deutsche Bank. Prior to MasterCard, Andrea had 16 years of marketing experience at Advanta, Bank One and Sparks State Bank. Andrea holds an MS in Business Management from Johns Hopkins University and a BS in Marketing from Kutztown University. As a mother of two children, Andrea and her husband support several children charities and associations as well as national organizations that provide assistance to our military. Felix works closely with Howard Kessler and other management team members on restructurings, acquisitions and divestitures for the Kessler Group’s financial services clients and actively supports various Kessler Family initiatives. Felix rejoined Kessler in 2014 following 12 years as Senior Vice President of Corporate Development and a member of the Chairman’s Committee for Trans National Group Services (TNGS), a Boston-based direct response and investment company. At TNGS, Felix oversaw the corporate development activities of several TNGS operating companies and served on the Board of Directors of two professional sports teams in which TNGS’s chairman had invested. Prior to TNGS, Felix worked at Kessler as Vice President of Corporate Development, focusing his efforts on identifying, evaluating and executing new business opportunities (including the formation of an independent Internet company to service affinity groups). Earlier in his career, Felix practiced corporate law at Goodwin Procter and was an investment banker at Morgan Stanley. Felix holds an AB degree from the Woodrow Wilson School at Princeton University and a JD degree from the University of Virginia School of Law. Felix lives with his wife and four children in Wenham, Massachusetts, where he has coached youth sports for a number of years. Jason is the architect and head of Kessler Group’s Marketing Analytics practice, implementing a number of rigorous solutions for a host of clients in the financial services, membership group, and education spaces. Prior to joining Kessler, Jason held senior analytics positions with Vistaprint and Aramark, and previously served as a technical consultant for MaPS and SAS. Jason holds an MBA and an MA in Statistics from Boston University and a BA in Mathematics from Saint Anselm College. Jason holds membership at the MSPCA animal rescue league, volunteers at the St. Francis day shelter, and offers interview training to students as a skill based volunteer. Responsible for The Kessler Group’s North American Mergers & Acquisitions business, David assists clients with strategic analysis, acquisitions and divestitures. David brings deep expertise in the payments industry to his role, having spent 10 years at First Annapolis Consulting, where he co-managed the firm’s card-issuing practice – its largest and most successful practice area – and worked with leading financial institutions around the world. While at First Annapolis, David developed comprehensive re-entry strategies for banks with diverse capabilities and outsourcing needs. He was closely involved in all stages of the entry process, from directing RFPs for processing and negotiating contracts to overseeing marketing collateral and direct mail campaigns. During his tenure at First Annapolis, he also assisted in some of the highest-profile M&A transactions of the last decade, including Sony Corporation’s $1.2 billion portfolio sale to Chase Card Services. Prior to his work at First Annapolis, David was director of finance at Commercial Credit. He was also head of Strategic Planning at Travelers Bank. David holds an undergraduate degree from Duke University and an MBA from the Harvard Business School. He serves on the board of Partners First. As CFO, Frank oversees all of The Kessler Group’s finance and accounting functions for the company worldwide, including financial reporting, budgeting and forecasting, cash management, expense and allocation policy, and expense controls and procedures. Frank works with client managers to develop shared financial models built on aligned interests and helps manage the risk profile of Kessler’s capital investments. Frank joined the company upon his graduation from Babson College’s MBA program in 1997. Before joining Kessler, he worked for several years in commercial credit and lending at Fleet Bank. In addition to his Babson MBA, Frank holds a BA in Economics from the College of the Holy Cross. Al is president of Kessler’s Financial Institutions Group (KFI), a key business development role that delivers products and services to the banking sector. Major activities include card portfolio acquisitions, agent bank card programs and merchant processing portfolio acquisitions. Since joining the company in 1988, Al has overseen the creation of over 1,000 partnerships for The Kessler Group’s clients, applying more than 25 years of experience in the payments industry to his responsibilities in development, sales approach consulting, valuation analysis and the negotiation of acquisition prices. Prior to joining the company, Al held executive positions at First Data Resources and Bank of New England. Al holds a BS from Salem State College. Joel manages Kessler Capital, making investments into Kessler’s clients by funding at-risk marketing programs and other capital investments. Joel has worked in various financial roles throughout the Kessler Group since 1999. He is a sought after financial consultant for Kessler’s clients, providing financial modeling and analytical support to help clients identify and implement optimal strategies in attracting and acquiring new business. Joel holds a BS in Finance and Marketing from Syracuse University and an MBA from Babson College. Joel is active in his town’s youth sports programs and other local community activities. Since joining The Kessler Group in 1996, Steve has been instrumental in building and managing key accounting and control functions, including cash flow maximization, general ledger reporting, international consolidations, treasury management, overhead tracking and review, vendor security audits, and the implementation of accounting and information technology policies and procedures for all company entities. Steve also manages the day-to-day operations of The Kessler Group’s accounting and IT departments. Prior to joining the company, Steve worked for nearly five years in the audit practice of KPMG Peat Marwick, becoming a Certified Public Accountant in 1994. Steve holds a BA from the College of the Holy Cross and an MS/MBA from Northeastern University.